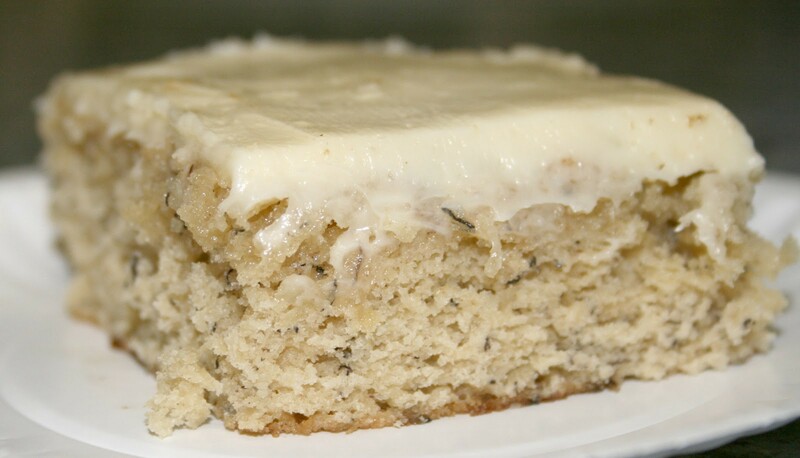 BANANA BARS WITH CREAM CHEESE FROSTING | Cook, Party, Enjoy! Cream Cheese frosting makes these banana bars a delight to eat. My family was crazy for these bars. They ate them all before the day was out. I made them with pecans and frosted them with the cream cheese frosting. They were so moist and delicious because of the sour cream. I will be making these more often throughout the fall. I shared some with my neighbor and she immediately asked for the recipe cause she wants to make them for her next Tailgating at her sons football game. 2 medium ripe bananas, mashed (about 1 cup) I often use overripe bananas, bananas that have started to turn black but you have to taste them and make sure the bananas taste good. If they are too ripe they may taste bad so check. If they taste bad trust me they will make your bars taste even worse. These may be made by hand just as you would muffins but I prefer using my electric mixer. If mixing by hand use a large spoon. If using your electric mixer use the paddle beater so you don’t over mix the batter. Cream butter and sugar in the mixer bowl on medium high. Beat until light and fluffy. Add the eggs, sour cream and vanilla. Mix until well blended. In separate bowl combine the flour, baking soda and salt and whisk until well mixed. Gradually add the dry ingredients to the wet mixture and mix on low until flour is incorporated into the batter. Fold in bananas. I do not use the mixer to blend the bananas I gently fold them in so not to make the bars too dense. Bake in preheated oven at 350° for 20-25 minutes or until a toothpick, skewer or knife blade inserted near the center comes out clean (make sure not to overbake). Cool. You can dust with powdered sugar. Try placing doilies on top and then sprinkle with the powdered sugar for a pretty design, or frost. If you are frosting make sure the cake is cooled completely. Use your electric mixer and the whisk beater. Into mixer bowl, put the softened cream cheese, softened butter and vanilla and beat on medium high until mixture is light and fluffy. Gradually add in 3/4 cup confectioners’ sugar beating after each addition until you achieve desired spreading consistency. You may add liquid or gel food coloring. Frost cooled bars. Best if stored in the refrigerator.